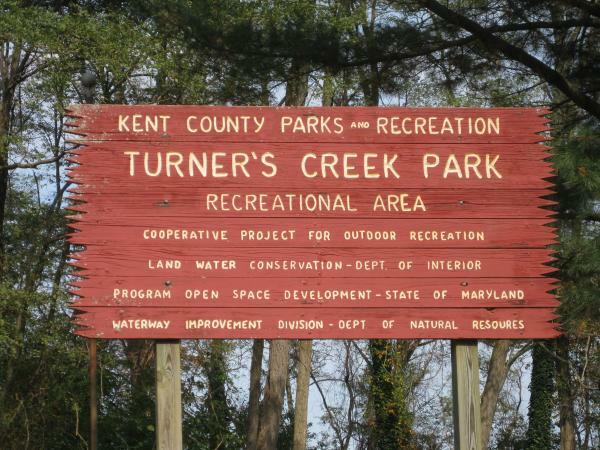 Located adjacent to the Sassafrass Natural Resource Management Area, Turner's Creek is part of the National Park Service, Chesapeake Bay Gateways Network. Explore 147 acres of trails, wooded acres, open fields, and a waterfront bluff overlooking Turner's Creek off the Sassafrass River. A public boat ramp is surrounded by over 100 feet of bulkhead area (please call the County Public Landings office at 410-778-7439 for more boat ramp details). The picnic pavilion includes charcoal grills, electric, and approximately 12 picnic tables. *Restroom facilities are located in the basement of the historic Lathim House (built in the late 18th century) and a portable toilet is available at the bulkhead. Other attractions include two nature trails, an abundance of waterfowl and wildlife, and a national and historic tree grove. The soil conservation agricultural demonstration area along with the Kent Museum, Inc., displaying antique and historical agricultural equipment, are open the first and third Saturday of each month from 10 am until 4 pm, May through October. Call 410-778-1948 or email info@KentParksAndRec.org for pavilion rental information.